How served: 12oz capped bottle poured into a Dogfish Head snifter. Note: Why the name change in 2009? 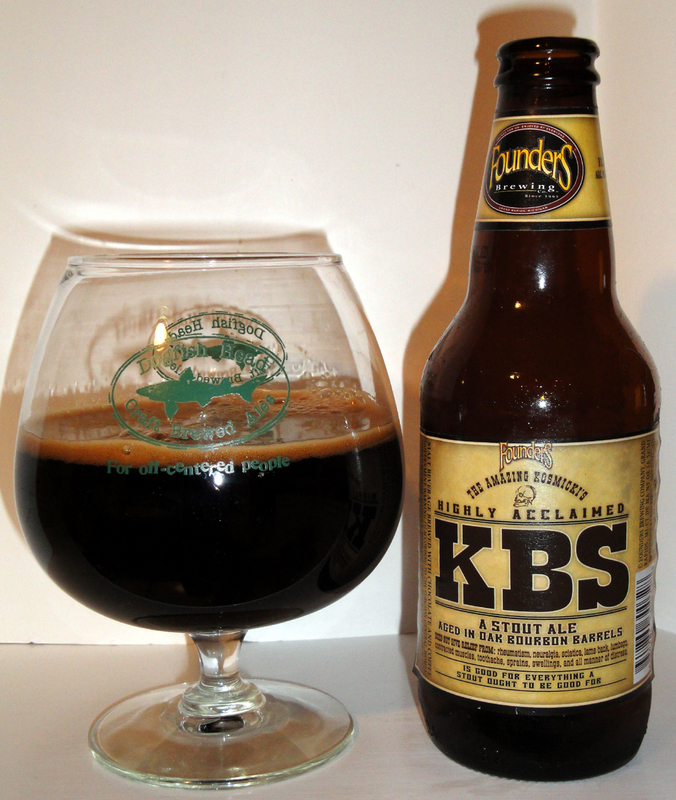 Rumors has it that since the beer was not made in Kentucky it was misleading to the public to call it Kentucky Breakfast stout, therefore the new name of KBS. Or is it just a new beer? Since the name change the ABV went from 10% to 11.2% & the IBUs went from 25 to 70. Or is it a combination of the 2? Either way this is one fantastic brew. The first sniff you get loads of coffee then some cocoa and a mild hint of the bourbon. As far as the taste went, it was of roasted coffee, chocolate and just the right amount of bourbon, if you dig down you could pick up some of the vanilla. This is the “best” bourbon barrel aged stout I’ve had to date.